Eddie Hara: the Punk Uncle of Indonesian Contemporary Art. / Born in 1957 in Salatiga, Central Java, Indonesia, Eddie Hara currently lives and works in Switzerland. 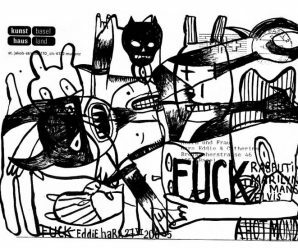 Educated in Indonesian Institute of Arts (ISI) Yogyakarta, Indonesia and Akademie voor Beeldende Kunst Enschede (AKI), The Netherlands, Eddie has held numerous solo and group exhibitions in Cuba, France, Germany, India, Indonesia, the Netherlands, and Switzerland. Eddie Hara’s works are included in the Singapore Art Museum, Museum der Kulturen, Basel, Switzerland, as well as private foundations, corporate and galleries in Indonesia and worldwide.